Staci Perryman-Clark is an assistant professor of Rhetoric and Writing Studies in the Department of English at Western Michigan University, where she also directs the First-Year Writing Program. Her work focuses on creating culturally-relevant pedagogies and curricular designs to support all students' expository writing practices. Her published work currently focuses on designing alternative curricular models for undergraduate and graduate courses. Her recent publications include journals published in Composition Studies and Composition Forum, WPA: Writing Program Administration, with forthcoming publications in Pedagogy and Teaching English in a Two-Year College (TETYC). 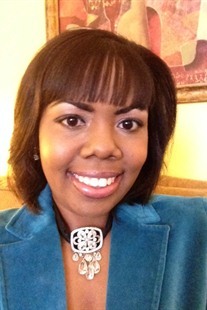 She has received national honors from both the Ford Foundation and Conference on College Composition and Communication.